You would feel like this too if you had over 25K visits on your site/blog per month! Lets take a look how. What’s going on guys, Alan here from Blendlogic with another article right up to help explain the crucial question: WHAT IS SEO AND HOW IT WORKS *wink if you know what it is you probably can figure out what I am doing *wink. So first things first, let me link the Youtube Video and hit you with that Youtube SEO and then follow up with the article so you can learn the info FASTER! SEO stands for Search Engine Optimization, and in short, it’s a way to write your blog posts, write your articles, format your information so that Google picks it up with their magic tools (scraping robots) and understand what you wrote. Because there is no way that Google can read all 23423 BILLION articles that are written every day, they use special tools to get all the information. But Google has a tough choice, when someone searches something… what should we display? So you want to get to the top? Read on to see the tools/strategy that I use. Another 100% FREE TOOL. You can access this tool by going into your Google Adwords account. Hit Tools at the top then hit Keyword Planner. Once inside, simply put in the search term you are looking for and validate the findings from Keywords everywhere. This is the last tool I use for my research for my clients and my self. Essentially, anything that says POSSIBLE, and if I can check off/verify that my other tools say it is possible, then I am good to go. So this is something that most people aren’t willing to do to get top ranking. Look at how YOUTUBE Ranks. There is a tool called TubeBuddy that I also pay for and use it for my clients that show me what Youtube lists as ranking. The same strategy goes here, just look for something that is 50 or above. If it has content on it and I like stuff I can talk about, then I make a video and then later create a video. Be sure to watch the live stream, I go over it in MUCH more detail. In short, use the tools I listed in this article to research what has HIGH VOLUME and LOW COMPETITION. Then.. just do it. Make that article and get it SEO Optimized. I will share in future videos/content/articles the tools I use to optimize per page, but as Savanna said when I interviewed her “Just start. No need to know everything, I wish I just got started.” Seriously, take a look at the video and see how POOR her SEO optimization is. YOLO doesnt matter, because she is still rank 1 on a TON of stuff, from just pure execution and commitment to making content available to her fans. 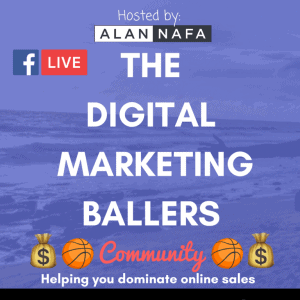 Even if you don’t know EVERYTHING about SEO, the money is in the follow thru. Just keep at it, write content based on this strategy and I’ll see you guys at the TOP. Hopefully that explains the point I wanted to hit across and answer the topic and keyword of this very article – WHAT IS SEO AND HOW IT WORKS. I have to follow in the footsteps of people who shared this information with me and just execute because I BELIEVE IN THE DREAM. You can have it too. 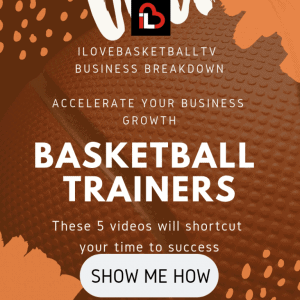 Also, just so you guys know, I increased the price of my Shortcuts offer to model your business after Coach Rocky from ILoveBasketballTV. At the time of this writing, I am offering my $250 Consultation Sessions, the Kartra Trial, AND THE CAMPAIGN for $19.97. I’ll keep you guys posted on the page when the price goes up, but this offer will last til the end of 2018. Resources and Tools I pay for.